Apple CarPlay is hands-down the safest way to interact with your iPhone in the car. That’s because you never actually touch your iPhone while driving, something you should never ever do anyway. Instead you control navigation, communication, and entertainment with Siri and a simplified interface on your car’s screen. The first thing to consider is system compatibility. Similar to smart home technology that works with Amazon and Apple platforms, infotainment systems can work with both Apple CarPlay and Android Auto. With that being said, there are still new units being introduced that only support one system, so watch for that if it’s a factor for you. My family only uses Apple CarPlay but could use Android Auto if anyone switched platforms, and support for both systems should help your vehicle’s resale value and appeal. Apple CarPlay launched with extremely limited availability in 2014 on select new cars and aftermarket head units, but today you can find CarPlay support from nearly every brand. That’s true for wired CarPlay at least, but wireless CarPlay is only available on a few options. In the case of aftermarket units, wireless CarPlay isn’t necessarily more expensive either so it’s worth your consideration if you’re buying a new system today. 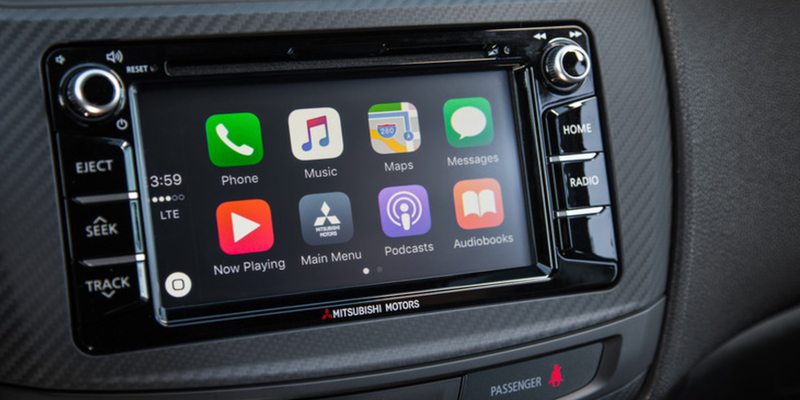 As for installation, it can be a do-it-yourself job if you have experience changing car stereos, but you can usually pay $100-$500 in parts and service to have CarPlay screens installed properly. Prices often depend on the complexity of the install job, so shop around local businesses to know for sure. Display type is another major factor. There are two types with dramatically different quality: capacitive which is preferred, and resistive which you will likely want to avoid. There are decent resistive touch screens that offer an okay experience on a budget, but investing in a capacitive system will ultimately offer a much better experience; in some cases, you can pay more for a worse experience!). The difference in screen types is like comparing an iPhone screen to that of an ATM. Finally, there’s the decision to make over whether to buy new with CarPlay or rely on an aftermarket system instead. New cars with CarPlay support generally offer better integrations with backup/side cameras and steering wheel controls, but not all new cars come with CarPlay yet even if they have screens. In some cases, you may have a better experience buying a new car without CarPlay, then having an aftermarket unit like the Alpine iLX-107 with wireless CarPlay installed. If you decide to buy a new car that offers CarPlay, look for factors like display size and screen resolution to compare. And as mentioned before, BMW is currently your only option for buying a new car with wireless CarPlay. However, it now comes at a cost of a silly annual subscription fee. Personally, I prefer the tight integration of a new car with built-in CarPlay if possible (and I wish more car makers supported wireless CarPlay), but I recommend Alpine iLX-107as the go-to aftermarket choice for its display size, screen type, and wireless CarPlay support. Just note that there is no Android Auto support if that is a factor for you.